Police officers earning as low as Sh. 20 after salary cuts! Salaries of police officers have been reduced, in some cases by up to Sh. 26,000. 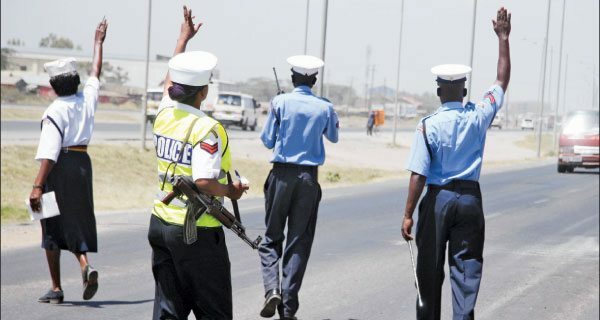 The adjustments, which have mainly affected graduate police officers and those disabled in the line of duty, were effected this month despite a court order directing the government not to implement the reviews by the NPSC. The law exempts the disabled from paying taxes for monthly earnings of Sh150,000 and below. Mobile phone salary notifications of a number of law enforcement officers show that some would earn as low as Sh.20 this month while others would get nothing. Since 1995, when Parliament passed a motion to enhance the salaries of police officers, graduates have enjoyed better starting pay than non-graduates. The review was implemented by the then Internal Security minister Jackson Kalweo, who directed that graduates should earn like their peers in the civil service for two years after which they should be promoted. Since then, a graduate joining the force at the lowest rank of Constable is placed at Job Group J, earning a basic monthly salary of Sh 36,000 and a prison and police allowance of Sh.11,000. However, lawyers, engineers and doctors in the force are graded higher. That changed last week when Vigilance House implemented the amendments advised by NPSC chief executive officer Joseph Onyango, slashing the salary of a graduate constable to Sh. 18,000 and the allowance to Sh. 9,000. “I earned negative Sh. 15,000 this month,” an officer told the Daily Nation. The officer, who has since tendered his resignation, said he had taken a loan from the sacco based on the consideration that he would be able to pay it every month. “It is not fair for them to reduce our salaries without even giving us notices,” he said, demanding to know how the NPSC expected the affected officers to settle their bills. To make matters worse, he had to borrow money to finance his resignation as police standing orders require that an officer quitting the force surrenders a month’s salary and issues a 24-hour notice. Alternatively, one may serve a three-month notice, which most of the officers are trying to avoid.